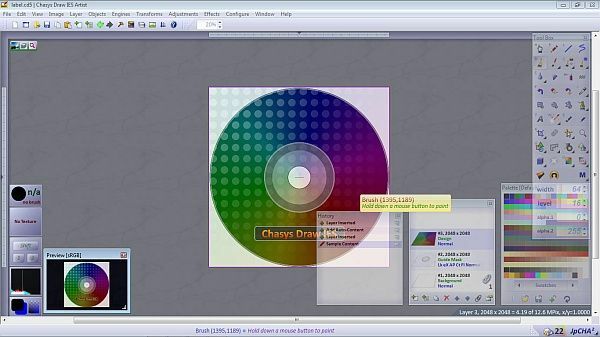 Chasys Draw IES is a suite of applications including a layer-based image editor with animation, icon editing support and super-resolution via image stacking, a multi-threaded image file converter, a fast image viewer and a RAW camera file processor. 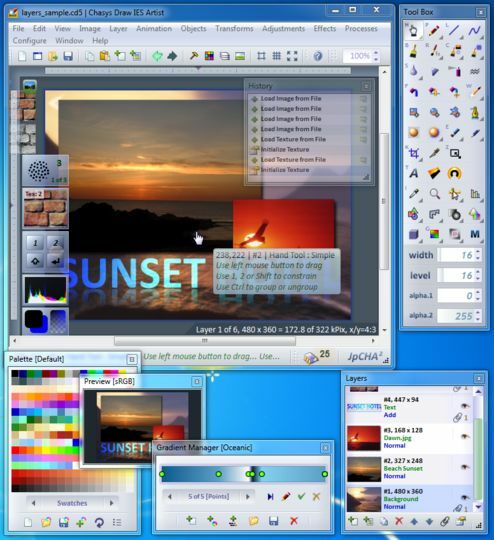 The whole suite is UAC aware and is designed to take advantage of multi-core processors, touch-screens and pen-input devices. 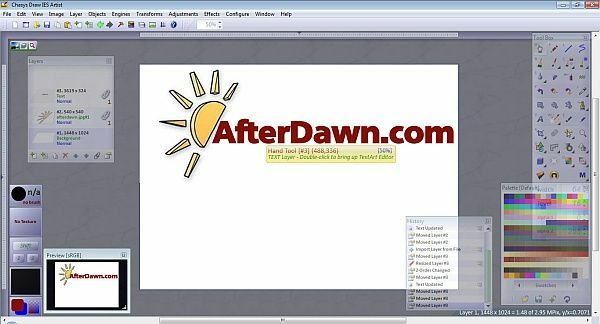 Support for older formats such as PPM/PGM/PBM, PCX, TGA, etc. 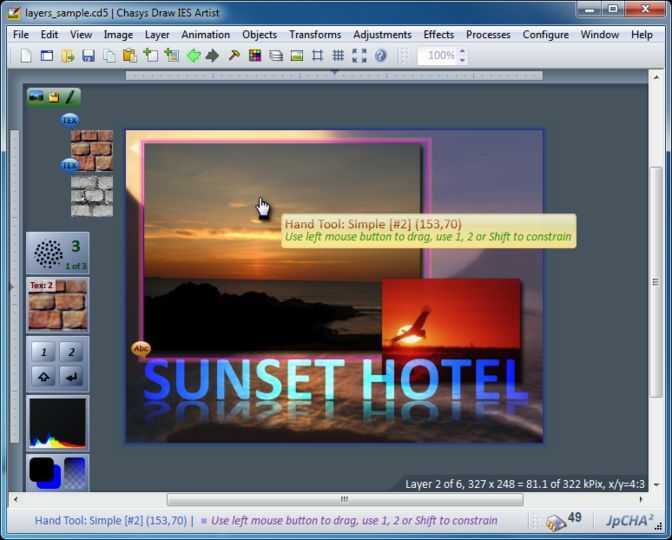 Includes plug-ins for JPEG-2000, AVI video, animated cursors, JPEG, PNG, animated GIF, etc.